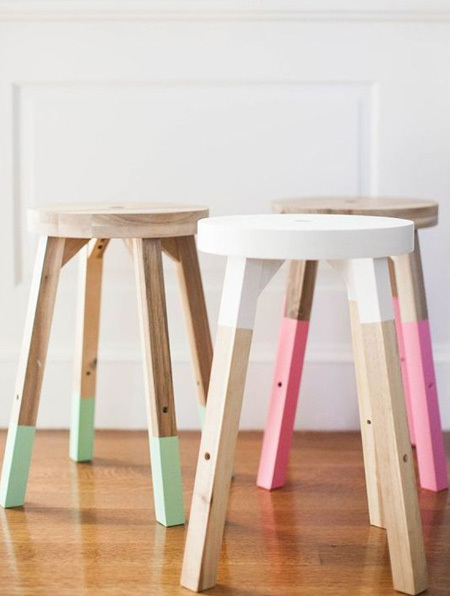 Paint is an easy way to transform old, dated or secondhand furniture and accessories, so here's how to give your home a new look for Spring! The Rust-Oleum range of spray paints has everything you need to transform dated, old or secondhand pieces and bring them to life. 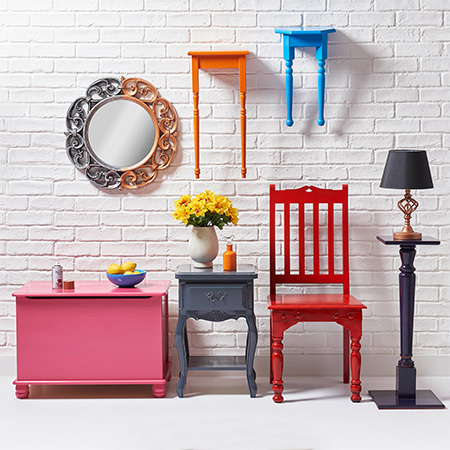 If you're looking for an affordable way to give your home a new look for Spring... think Rust-Oleum. Pop into your nearest Builders store to see the full range of matt, satin or gloss colours, metallic finishes, mirror-look, and more. There's a Rust-Oleum spray paint for all materials that will help you to update the look and feel of your home. Or visit the Rust-Oleum website for more information on products and a selection of projects you can DIY. 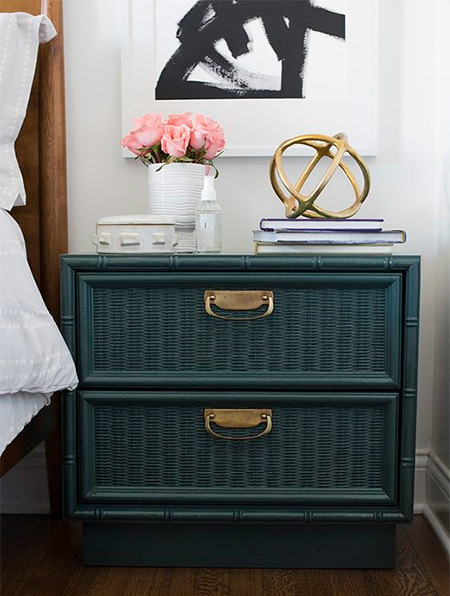 Sarah, of room for tuesday, used Rust-Oleum spray paint to transform her bedside table. After spraying the unit, she applied Rust-Oleum Triple Thick Glaze to give the bedside cabinet a high-gloss lacquer finish. 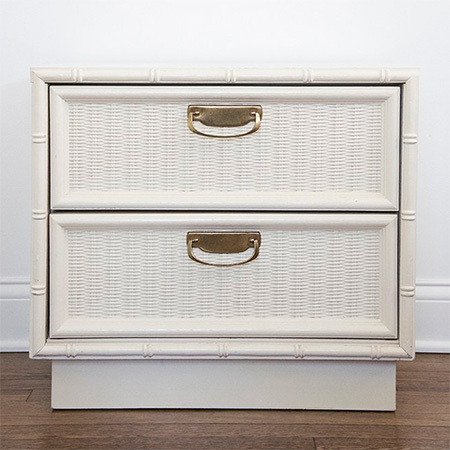 TOP TIP: Remove all hardware like knobs or handles - it will always look better than if you try to paint around them. 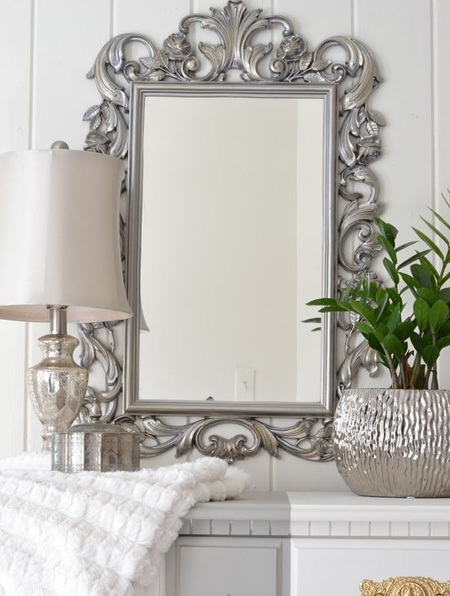 With Rust-Oleum 2X and Universal Metallic it's so easy to transform ordinary pieces into accent pieces for your home. 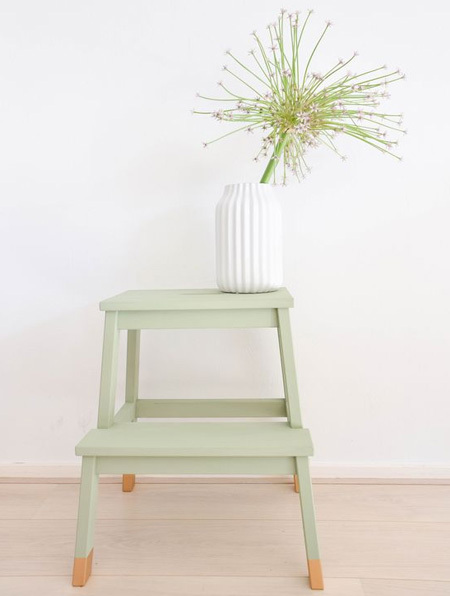 Take a plain stepstool and apply Rust-Oleum 2X spray paint in your choice of colour and then add a decorative touch with Rust-Oleum Metallic. TOP TIP: Fill any holes and sand down where necessary. When using Rust-Oleum 2X it's a primer and paint in one, so no need to apply a primer. Rust-Oleum 2X Ultra Cover spray paint has to be the most affordable way to update your home decor, or to paint your new projects. It's super simple to apply and offers maximum coverage - so you actually use less spray paint. When spraying on new wood you only have to spray on glorious colour to finish your projects. With Rust-Oleum spray paint you can start shopping around at secondhand stores for bargains too good to be missed, especially if you desperately need a few pieces of furniture to add to your home. Getting creative with Rust-Oleum 2X spray paint is a cost-effective way to make things match and add personal touches to any piece of furniture. TOP TIP: Paint in a well ventilated area and put down drop cloths to protect the area where you’re painting. TOP TIP: Lift the item you’re painting off the floor so that you can reach the bottom of legs and other tricky bits more easily. 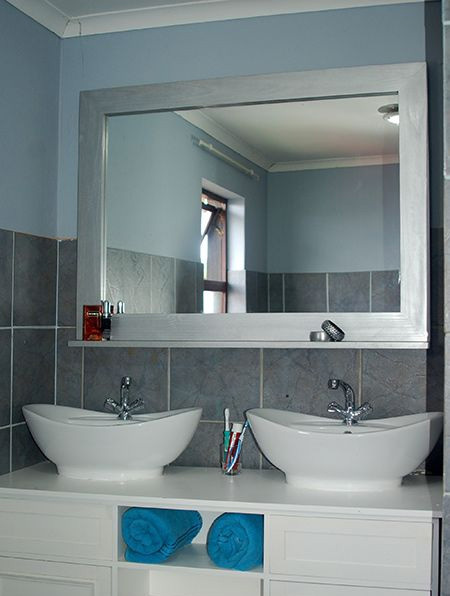 We used Rust-Oleum Universal spray paint to turn a plain pine mirror frame into a feature for our bathroom. View the project here for instructions. When you're browsing for bargains, don’t stop with furniture. You can use spray paint to transform decor accessories to add to your home decor. 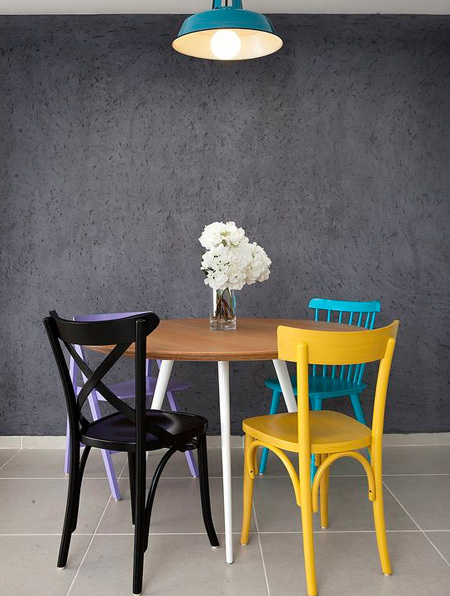 Choose a Rust-Oleum spray paint that complements your existing decor and creates a stand-out feature. You can even apply Rust-Oleum spray paint on plastic for an instant makeover. TOP TIPS: To avoid unsightly drips and an uneven finish, apply 2 to 3 light coats of spray paint over the surface. Let each coat dry properly before applying the next coat, and allow pieces to fully dry before moving. Whether you're wanting to transform an old lamp, give secondhand furniture a makeover, or upcycle items with a new look, you won't find an easier way than spray paint. And since Rust-Oleum is more paint than other brands on the shelf, you will discover that Rust-Oleum spray paint is easy to use, covers quickly and gives a professional finish. 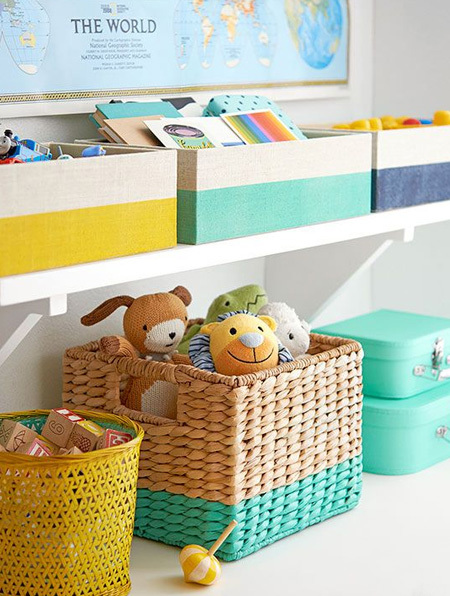 Who knows what ideas you might come up with when looking for inspiration to refresh your home for spring. 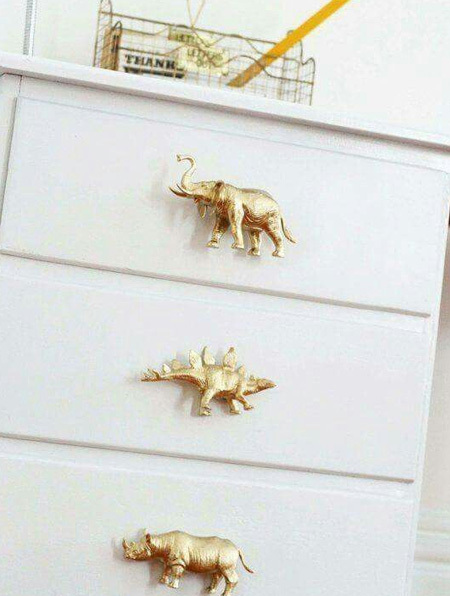 For instance, we love this idea for taking plastic toys, applying a couple of coats of Rust-Oleum Universal in gold, for a very unique way to finish off a revamped chest of drawers. Or what about this fun lamp. What a great way to put old toys to good use. 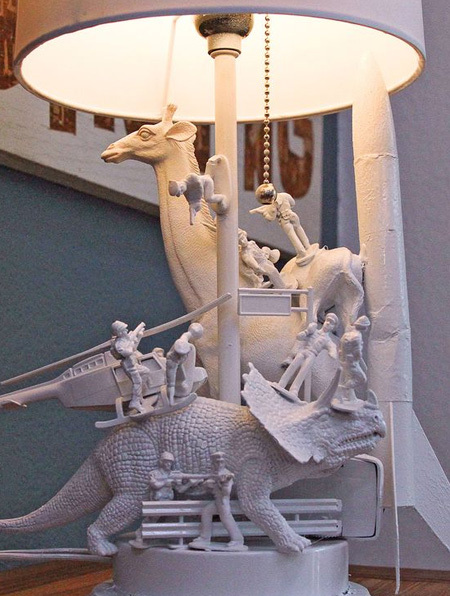 Use a hot glue gun to stick small toys around the base of an old lamp and then spray paint in a colour that complements the decor in a child's bedroom. And because Rust-Oleum spray paint is so versatile and can be used on almost any surface, it gives you the opportunity to revamp or makeover in so many different ways. 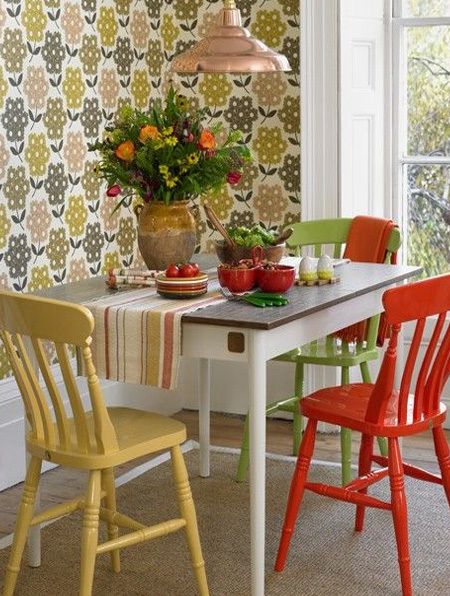 Use it to add a touch of fresh, spring colour to any room in a home.